Karnataka has few of the best water falls of India. Jog Falls is one of the most famous ones. 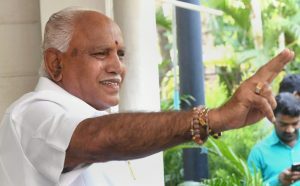 Bookanakere Siddalingappa Yeddyurappa (BSY) was the 19th Chief Minister of Karnataka. Find out more about his life, achievements, scams and about his political party, KJP. Shivgange Falls in Shimoga is a trekker’s paradise. Know more about the waterfalls, nearby attractions and how to reach the Shivgange Falls. Kunchikal Falls near Shimoga is one of highest waterfalls in India. Know more about Kunchikal Falls and the prestigious Hydro project at Kunchikal Falls. Shimoga One is an initiative under Karnataka One. 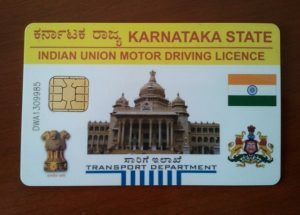 Shimoga One enables citizens to pay bills, apply for ration card, do RTO work, UIDAI etc. through online. Shimoga or Shivamogga is a city with picturesque beauty. Shimoga is blessed with Jog falls, wildlife sanctuaries. Know more about Shimoga. Shimoga in Karnataka has a large number of restaurants that serve authentic dishes. Check out our list of 8 best places that serve great food in Shimoga. Heggodu in Shimoga Karnataka is the location of the world famous drama institute NINASAM. It has the Akshara Prakashana publishing house. Read on to know more. Mattur in Karnataka is known as the Sanskrit village of India. Sanskrit is the language that is spoken by most people in the village. Read on to know more. 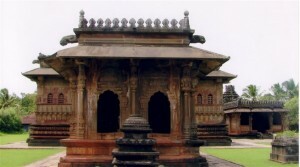 Ikkeri in Karnataka is a historical village that is famous for the Aghoreshvara temple. It was once the capital of the Keladi Nayakas. Read on to know more.